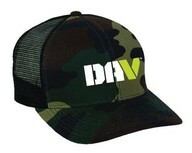 Join NKU on our Victory for Veterans Fitness Challenge for DAV this November! DAV is on a mission to help veterans get the benefits and services they were promised by our nation. Every year, DAV helps more than a million veterans, of all generations, as they face and conquer their challenges - and ultimately reach their personal victories. 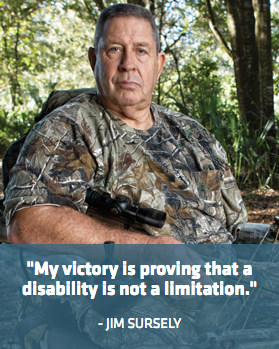 Will you help more veterans reach their personal victories this November? Take the Victory for Veterans Fitness and Fundraising Challenge November 1 to November 11 – commit to an exercising goal that you establish for yourself in just 11 days – all to raise awareness and funds for our veterans in the tri-state! You can run, walk, bike, swim, elliptical – whatever you can track by your fitness device or by mileage. Register on November 1 at the KICK OFF MILE WALK EVENT at the NKU Rec Center between 2 PM – 4PM -- the first 50 sign-ups get a free CAMO HAT and walk the first mile on campus (must be present to get the hat)! Once you complete the challenge, you will win your very own medal and a chance to win a variety of prize packs! Let your victory be their victory! Be part of the Victory for Veterans Fitness challenge starting November 1. Participation in this event is subject to the following terms and conditions. Northern Kentucky University, we're calling on you to conquer the tracks and clock the miles to help America's vets reach their own victory this November! Every year, DAV has an impact on more than a million veterans, of all generations, as they face and conquer their challenges — connecting them to the health care, education, and financial benefits they’ve earned. At DAV, we’re on a mission to help veterans get the benefits and services they were promised by our nation. We hope these real stories of personal victory will inspire greater support for America’s veterans and demonstrate that DAV is here to help all veterans create more victories. Because when America’s veterans win, we all win. Jim Sursely lost both legs and an arm to a land mine in Vietnam. Today, he’s living proof that a disability need not prevent a person from doing the things they love. 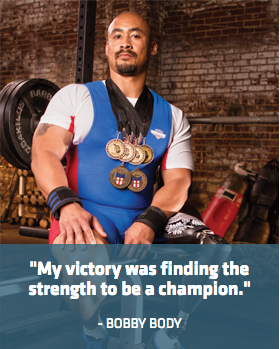 Bobby Body overcame the loss of his leg to a roadside bomb in Iraq to become a champion powerlifter. 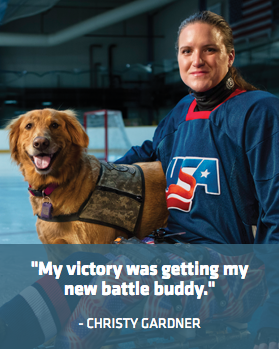 Christy Gardner bounced back from spinal injuries and a traumatic brain injury to gain a new best friend in her service dog, Moxie.